The Argyle Slipper Dog Socks - Blue are the perfect indoor paw-wear for your furry companion! 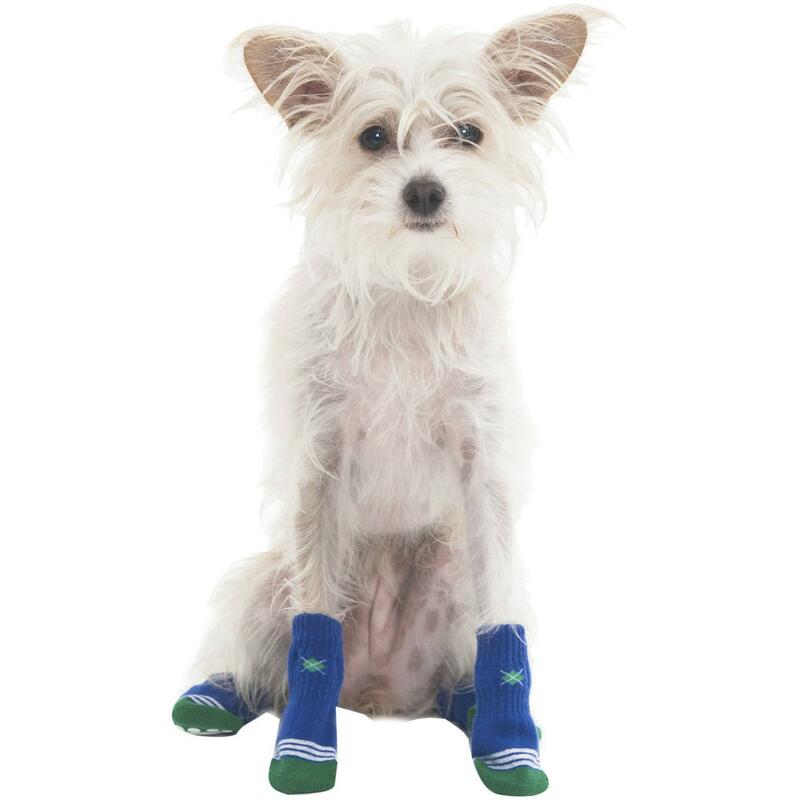 The Argyle Slipper Dog Socks - Blue will have your fun loving dog running all around the house! They feature a non-slip pad on the bottom to prevent slipping and scratching floors. Machine washable to help maintain a clean environment for dog. Their cute argyle design will be an instant hit around the house with their fun, functional, and cute design! I love BaxterBoo.It is a great webside.I always find what I look for.The shipping is always fast, no problems with the returns.Very friendly costumer service.The selection of things for dogs is great. I really reccomend this webside to shop for your fury friends.